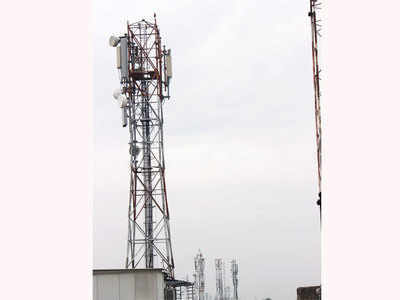 The government’s budget proposal to levy service tax on spectrum trading deals could compel Idea Cellular, India’s No. 3 telco, to fork out Rs 496 crore to the government for buying Videocon Telecom’s 4G airwaves in UP-West and Gujarat if it is unable to close the deal before June 1. The “additional service tax would logically get subsumed within Idea’s overall costs in the context of the spectrum-trading transaction with Videocon, but there is a possibility that both companies may have to restructure the deal if it does not close before June 1,” said a person aware of the talks between the two companies. Idea said in November it plans to buy Videocon Telecom’s 4G LTE airwaves in the 1800 MHz band in the two circles for Rs 3,310 crore (about $500 million), the country’s first such trading deal. The No. 3 carrier had said the transaction would go through on completion of due diligence and written confirmation from the Department of Telecommunications (DoT) on the transfer of rights to use the frequencies. Idea Cellular and Videocon Telecom, it is learnt, are yet to submit their joint intimation letter to DoT following completion of the due-diligence process. “The only way Idea can skirt the additional service tax levy is by closing the spectrum trading deal with Videocon by May 31 latest, since the new rule will be effective June 1,” tax expert Dinesh Kanabar, CEO of Dhruva Advisors, told ET. While presenting the Union Budget on Monday, Finance Minister Arun Jaitley said assignment of the right to use radio frequency spectrum would not be taken as a sale of intangible goods and would be liable to service tax of 15%. If Idea ends up shelling out Rs 496 crore as service tax, the company will be able to partly offset the liability against accumulated central value added tax (cenvat) credits over a period. Experts point out that Idea could face interim cash flow challenges as it would have to pay the entire service tax upfront. “There could be some cash flow hiccups if the service tax burden is sizeable since subsequent cenvat credits will be in yearly instalments over the validity period of spectrum acquired,” said Dharmesh Panchal, Partner (Indirect Tax) at PwC. Idea Cellular and Videocon did not immediately reply to ET’s queries. Idea generated over Rs 10,000 crore of cash profit in calendar 2015, Managing Director Himanshu Kapania said on an earnings call last month. “It may not be sustainable to deliver (+30%) cash profit but we expect to do 20% plus cash profit growth in the subsequent years, which will be sufficient to cover our capex needs,” he had said. Anil Ambani-owned RCom agreed in January to sell its airwaves in the 800 MHz band to Jio – owned by elder brother Mukesh – for roughly Rs 4,500 crore in their bid to leverage each other’s spectrum resources for rolling out 4G services. Reliance Jio and RCom did not reply to ET’s queries.